Multi-way PAD and RSD Controllers – Cleaveland/Price Inc.
PAD multi-way controllers consist of a master control unit and up to three drone units. 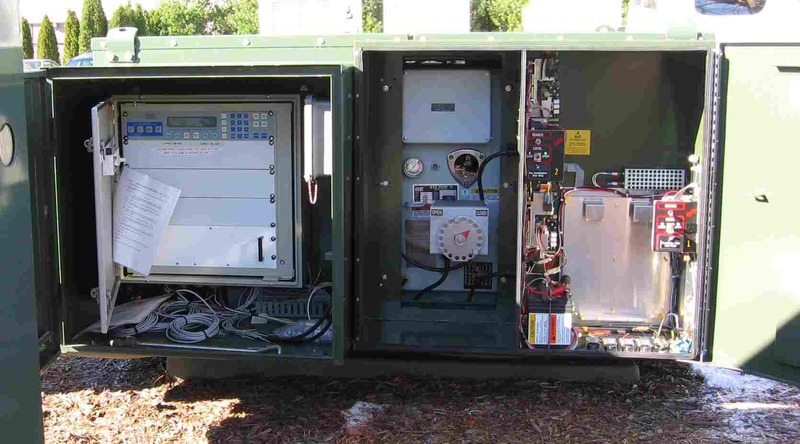 The master unit holds the RTU and communications device and provides command function for the drone unit(s). The drone unit(s) hardwire to the master unit. RSD multi-way controllers for padmount applications consist of a multi-motor controller and a number of remote PAD motors. The photo to the right shows a two-way control and one of the PAD motors. The other PAD motor is located on the opposite side of the padmount switchgear.